In an interesting development, the voting percentage of male and female in Mizoram for the first phase of Lok Sabha election is almost identical. According to the latest data revealed by the Chief Electoral Officers Office, the percentage of women and male are almost equal with only a difference of 0.81 per cent between the turnout. While there are 383603 male voters, 243954 came to vote with the polling percentage coming to 63.60 per cent. The number of female voters is more than male voters which comes to 404169, however, only 253762 (62.79 per cent) women cast their vote in the LS polls. The difference between the turn-out of the two genders comes to 0.81 per cent only. In the last MP election in 2014, the male voter turnout was 62.44 per cent and female voter turnout was 60.97 per cent which signals a slight increase in the percentage of women voters. Pink polling booths, which are electoral booths manned by women election officials only may have contributed in the high turnout of women voters with special arrangements for pregnant women. There were 117 pink polling booths in total across Mizoram during the April 11 polling. 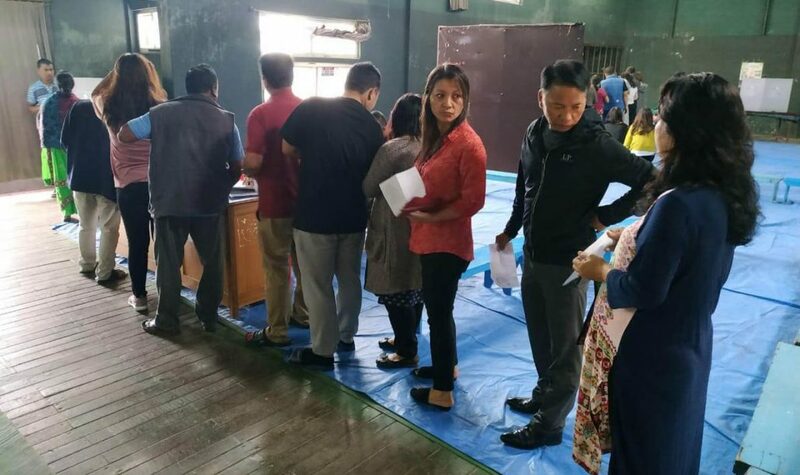 In the 40 Assembly constituencies of Mizoram, the worst turnout was at Lawngtlai East where H Biakzauva of the ruling party is the current MLA. Only 12438 voters out of 24183 turned up to vote, making the turnout percentage at 51.43 per cent. West Tuipui constituency, where Nihar Kanti Chakma of Congress is the MLA saw the best voter turn-out with 11276 voters out of the total 15063 turning up. The voters’ turn-out in this constituency was 74.86 per cent. In the Lok Sabha elections held on April 11, 2019, out of the 787777 voters, 497091 people cast their vote resulting in a voter turnout percentage of 63.10 per cent.